Child & Adolescent Weight Management | Ideas and tips for promoting healthy eating for children and adolescents. Ideas and tips for promoting healthy eating for children and adolescents. I have a new blog – Everything Heart Health! Please follow for information on keeping your heart healthy!! I am married to a “meat and potatoes” guy. Not big on fruits and veggies. A bit overweight (ex-college football player – you know the type). No family history of heart disease. As a matter of fact, his blood lipids are surprisingly intact based on what his dietary intake has been for our 23 years of marriage (thank goodness.) Given all these facts, it is quite challenging as a dietitian to get him to eat well. Time and time again I try to get him to take one of his unhealthy habits and replace it with a healthier one. Well, you cannot make a person change. They have to want it themselves. I know it is very, very difficult to make changes. Let me be clear about that. How High is Too High?. I’ve been on sabbatical for way too long. It’s summer! It’s been crazy. Kids going here, there and everywhere. No set schedule. Don’t get me wrong it’s been fun but unstructured (as always in the summer). Sometimes it’s hard to get the creative juices flowing to write something as I have less alone time. Recently something happened that I feel I need to share. I have to write about something weighing (no pun intended) on my mind. 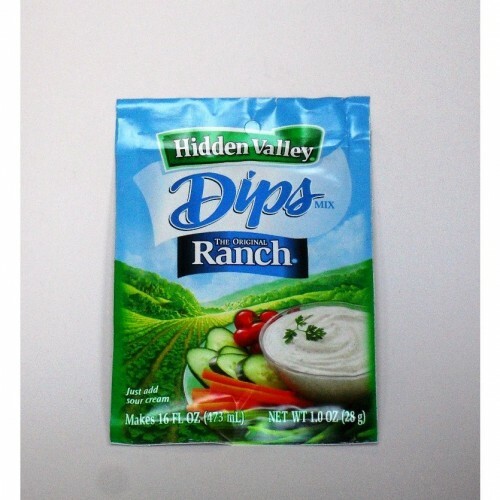 I need to cleanse my soul by admitting to an uncontrollable desire to consume an oldie but a goodie – Hidden Valley Ranch Dip (which I will refer to affectionately as HVRD). This is a true confession from a dietitian. I work at a local kitchen gadget store and one day my manager brought in vegetables and dip. Ok, no big deal. I was really happy she brought the veggies as I was really feeling up for a good eating day. She normally brings in something like hummus or Tzatiki. Not this day. I peered into the little covered bowl. Could that be ranch dip? When was the last time you went to a party and the host served HVRD? I bet you can’t even remember. Let me tell you, it’s got a flavor like no other. When I took that first carrot and enrobed the end in the velvety dip, the memories came flooding back. The real fireworks went off when I tasted it. It was delicious beyond belief. Why did it taste so good? Was I really hungry? Maybe. Was it the sodium, the MSG, the sour cream? Perhaps. Ahh, I know it was probably the maltodextrin. As a dietitian, I can’t get enough of that. Anyway, all I know is that it was rich, dreamy and creamy. They are a crispy, crunchy, salty party in your mouth. I decided to try the snap in the ranch. Oh my god….you can’t imagine. I still was unsure why I found the HVRD so delectable but I couldn’t fight it any longer. For the rest of the day at work, I was dipping and double dipping snaps and veggies in my new found love. The day ended and I said good bye to my co-workers…and scraped the bottom of the bowl with one last snap. A day or two passed and I couldn’t forget about the HVRD. On my weekly grocery shopping trip, my cart uncontrollably headed to the salad dressing aisle. The HVRD should be with the HV salad dressing, right? Why not make my own HVRD? Surely, I could eat it in moderation at home. Plus, the kids would like it and just maybe it would help them get their “five a day” of fruits and vegetables. I put one, no two packets in my cart. The sour cream came next and I knew what I had to do. I had to get the reduced fat. Yes! That was the healthy thing to do. I finished my shopping trip and sped home to make my HVRD. I also got organic carrots rather than those round tipped precut ones. Another way to make this healthier. Actually they really taste a lot better, too. It was really easy to make – 16 ounces sour cream (remember reduced fat) mixed with the packet of unidentifiable ingredients. It says on the packet to thicken and enhance flavor, refrigerate one hour before serving but I had no time for that. I took my organic carrot and dipped….good but probably needed that refrigeration to get the texture right. I dipped all day. 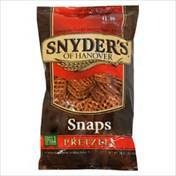 Carrots, Triscuits, hard pretzels, soft pretzels – anything that could withstand the force of being submerged in the dip. Feeling full I went to put the HVRD in the fridge and saw the salsa. The wheels started turning. That just might be a match made in heaven! I mixed the HVRD and the salsa. YUMBO!!! Time for the Tostitos. I continued to dip until I realized I just wasn’t digging it so much any more. I was so full I was ready to burst. You know what I think happened? I think I finally just had too much (surprise, surprise). You know how that first taste of something is really good? As you continue to eat it, not so much. When your food starts to not taste as good as when you started, STOP eating. That evening I felt so bloated someone could have used me as a life preserver. The next day I didn’t feel so hot, either. What did I learn from this? HVRD is probably not so bad in moderation. Are there other recipes I could make with that little packet? Maybe HVRD pudding, cheesecake, or quiche? Believe it or not, these things entered my mind. 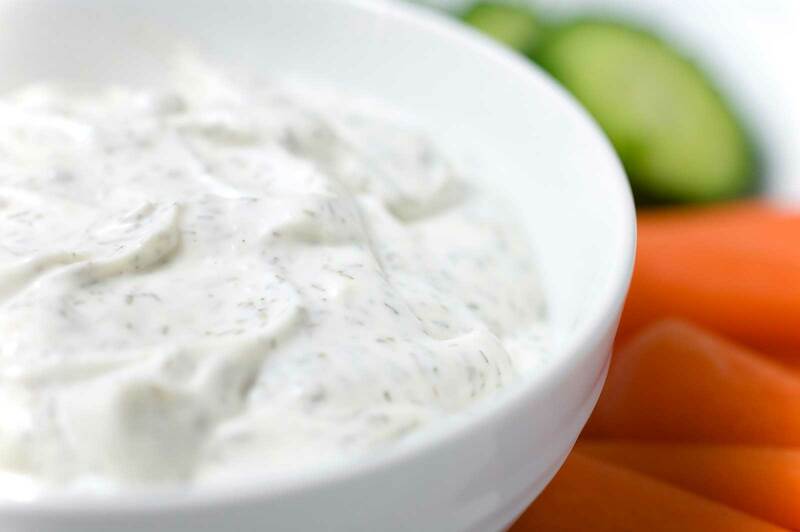 I also think I might just try a home made ranch dip. That way I can identify all the ingredients I put in it. I have not done this yet but I plan on making it. The other thing I learned is one that I already knew. Even if you REALLY like something, pace yourself. Fully taste each bite. Chew slowly. Savor the flavor. There is no rush. No one is going to take your food away. You will be able to have that food again! You don’t want to end it feeling full and sick to your stomach. Obviously, you’ll enjoy your food more this way, be healthier and feel better! FYI, that second packet of HVRD is still in my kitchen cabinet…not far from the packet of Lipton’s Onion Soup. Here’s the problem. Over and over again I hear from parents “how can I get my child to be more active?” For those kids who are athletic or participate in sports, physical activity comes more easily. You don’t have to worry so much about it. If you have a child that is not interested in playing sports, getting them moving can be more challenging. Every kid (and every adult) should be physically active. We have got to stop making excuses. We know that modeling our own active lifestyle will have the biggest influence on our children. Number one in every household is, hopefully, that parents and/or caregivers value exercise and the positive impact it has on health. Of course, this is reflected in your own behavior which includes exercise at least 3 days a week. Honestly, we should really be physically active each and every day. As Nike tells us “just do it!” It is short, sweet, and to the point. Nothing else needs to be said. 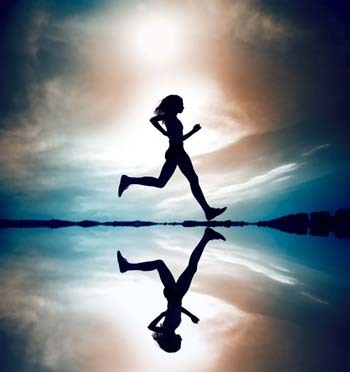 Have you ever exercised and regretted it? Have you ever gone for a walk on a beautiful day, come home and said to yourself, “Darn, I wish I hadn’t done that.” Well, let me tell you, YOU HAVEN’T. I like to exercise, however, just like everyone else there are days when I can talk myself out of it. I can tell myself I have too much to do. One of my favorite things to do is to not shower in the morning, put my workout clothes on, and tell myself I’m definitely going to work out. Oh, first I have to check my email, urgent overnight texts, Twitter, Facebook, LinkedIn, Google maps, and maybe check my kids’ cell phone usage on Verizon. Ok, now its time to get on the treadmill. No, wait, I wanted to order some new shoes on Zappos.com. I better do that. Getting some water to get on the treadmill. Geez, the baseboards are really dusty in the kitchen. Yep, I’m gonna clean the entire kitchen from top to bottom (that never really happens but I do think about it). Next a friend calls to go to lunch. A girls gotta eat, right? You have to nourish yourself prior to exercising. Yeah, I’ll do it when I get back from lunch… You get the point, right? By dinner time when I’m still in my workout clothes having never worked out, I’m pretty disappointed in myself. Even if you don’t feel like exercising, just do it! Once you get started, you’ll be happy you did. What kind of activities can your youngster do? The answer is anything. You might have to try everything. You HAVE to focus on fun. Telling them how healthy it will be for them is just not gonna do the trick. Sharing that this will decrease their risk of stroke or heart attack when they get older – not so effective. Getting them to laugh, giggle, break a little sweat (ok, maybe not), enjoy time together with you or a friend will be much more likely to get them interested. Something we all can do is walk. Take opportunities when the weather is nice to go for a walk together. With younger kids you can skip, jump, make games up as you go along (warning: DO NOT do this with a middle schooler or teen – it’s negative impact on your relationship with them can be life altering). It’s best if you can get them involved in at least one structured activity a week such as a class/team/afterschool club. What are some other things to try? These ideas are just the tip of the iceberg. There are an infinite number of possibilities. I’m not saying it’s going to be easy. I am saying your physically active lifestyle will have a HUGE impact. Keep trying. Keep trying new things. Make it fun and positive. Reward them! Remember winners never quit and quitters never win – it’s true! Never ever give up on your children….and last but not least….JUST DO IT!!! 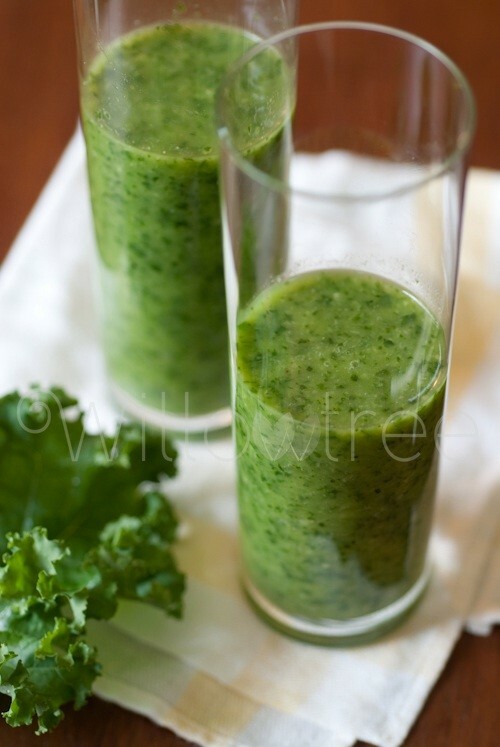 I just wanted to share a recipe with you that is quick, easy, and really tasty. Chances are your family will like this. Assuming, of course, that they are not opposed to eating brussel sprouts!! When the brussel sprouts are shaved, their taste is not quite so severe. My own kids like them this way. 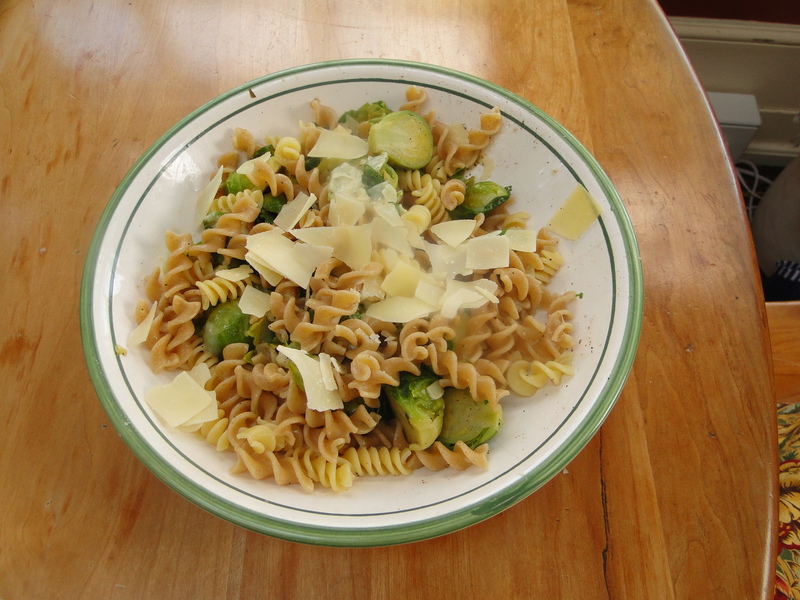 Another suggestion – Whole Foods 365 is the best tasting whole wheat pasta around. Again, my family will eat this and not some other brands of whole wheat pasta. Usually I get the shaved brussel sprouts at Wegman’s. If you can’t find them, you can use a mandoline to shave them. 1. Boil pasta until al dente. 2. Saute the brussel spouts in the broth and 1 tbsp of olive oil for about 15 minutes or until softened. 3. Place the brussel spouts in a bowl. 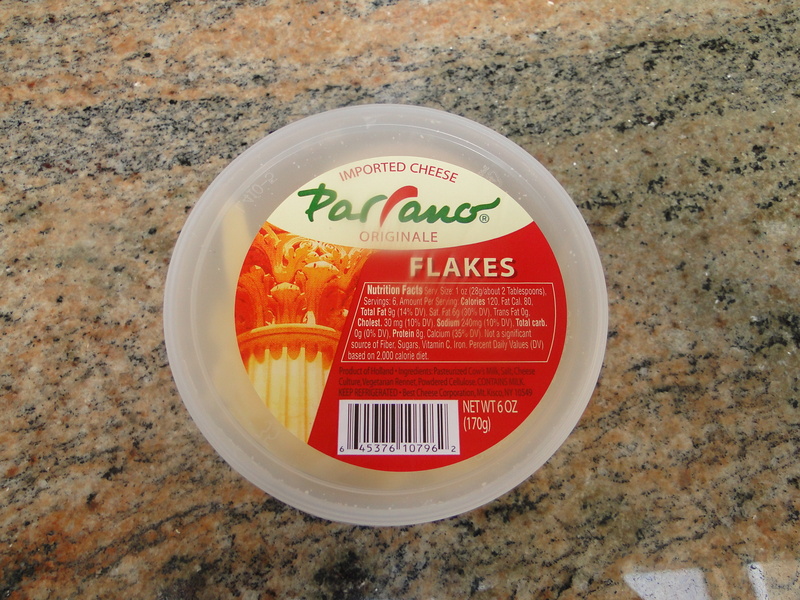 Sprinkle some Parrano cheese flakes on top (this helps them to melt a bit). Put the pasta and 2 tbsp olive oil on top and mix together. 4. After mixing, sprinkle more Parrano cheese on top. Start with a Healthy Heart! It seems appropriate that February would be National Heart Month. After all, it brings us the Valentine’s Day holiday. That gets us thinking of hearts in a happy way. However, we need to be serious when thinking about keeping our hearts and blood vessels healthy. Did you know that heart disease kills one in three women while breast cancer kills one in twenty-nine? It also takes the lives of thousands of men. One thing that really stands out to me with heart disease is we absolutely can make changes in our lifestyles that can reduce our risk of getting it or at least delay its progression. 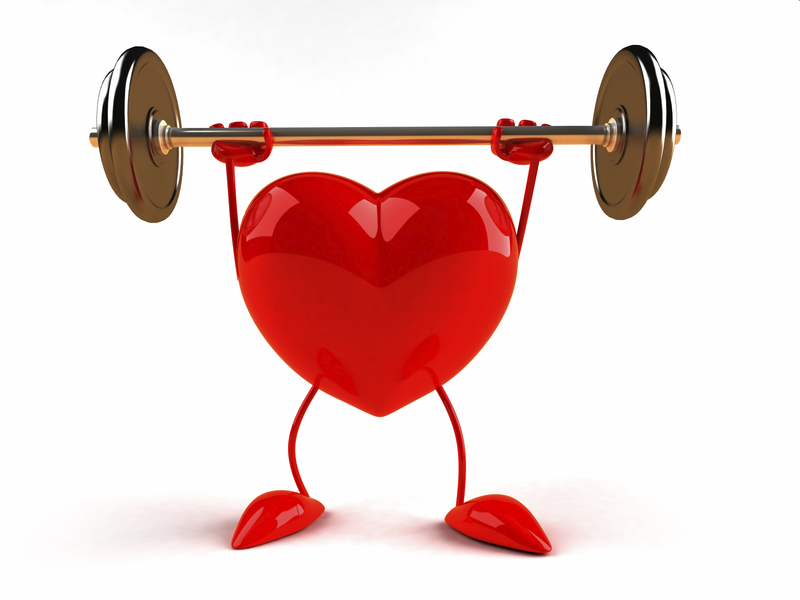 Diet, exercise, medication and stress control can significantly impact your heart health. If you have a family history of cardiovascular disease – you really need to pay attention and be proactive with regards to cardiovascular care It’s never too early to start heart healthy eating. Include plenty of fruits, vegetables and whole grains as a daily part of your children’s diet, starting in toddlerhood so they develop a taste for those foods and develop lifelong good eating habits. LDL cholesterol – Optimal is considered to be below 100. Above optimal – 100-129. Borderline high – 130-159. High 160-189. HDL cholesterol – Optimal is considered 60 and above. Less than 40 in men and less than 50 in women is considered low – higher risk of heart disease. Triglycerides – 150 or below is considered normal. 150-199 is mildly high. 200-499 is high. 500 or higher is very high. Cholesterol – Less than 200 is desirable. 200-239 is borderline. 240 and above is high. Please note also that if you have heart disease or blood vessel disease, some experts recommend your LDL cholesterol be below 70. This you would need to discuss with your physician. LDL cholesterol (low density lipoproteins) are the “bad” guys. They carry cholesterol to the cells and cause plaque to form on the artery walls. Genetics, smoking, obesity, a high saturated fat diet and a sedentary lifestyle all contribute to higher levels of LDL’s. HDL cholesterol (high density lipoproteins) are the “good” guys. They carry cholesterol away from the cells where it goes to the liver for reprocessing. Recent studies have also shown that the antioxidant and anti-inflammatory properties of HDL may inhibit the buildup of plaque on artery walls. For every one point increase in HDL, there is a three percent decrease in a person’s risk of suffering a fatal heart attack. That’s motivating to get your HDL number up! How can we increase HDL? Exercise, weight loss, increasing dietary fiber, consuming omega-3 fatty acids, limiting intake of simple carbohydrates (yup), and choosing mono- and polyunsaturated fats over saturated fats can all help increase HDL levels. One of the most important dietary considerations for keeping your heart healthy is making sure you get enough fiber. Fiber has been proven to help lower LDL cholesterol. Haven’t you seen those Cheerios commercials? Do you know you would have to eat 28 bowls of cereal to meet your needs for the day? They boast about all the fiber in Cheerios but there is really only 1 gram/serving. Ok – back to business. Incorporate fiber into your diet as often as possible. The recommended amount of fiber for children and adults is 14 grams per 1000 calories. That pretty much means about 14-21 grams for children and 28 grams for adults per day. Good sources of fiber include oat cereal, lentils, beans, fruits/vegetables, whole wheat and whole grains. You really have to make an effort to get your fiber. Some foods with the highest amounts of fiber are black beans (15 grams/cup), raspberries (8 grams/cup), pears (5.1 grams), oatmeal (4 grams/cup). To see a list of high fiber foods go to www.todaysdietitian.com/newarchives/063008p28.shtml. Next, you want to make sure you are getting a healthy dose of omega-3’s. Omega-3 fatty acids from fish and flaxseed are found to help protect against heart disease, specifically they help lower triglyceride levels. Elevated triglycerides are associated with an increased risk of coronary artery disease which increases your chance of heart attack or stroke. 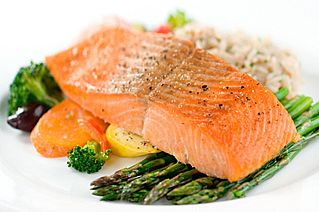 Foods high in omega-3s include salmon, sardines, walnuts, and flaxseed. Plant sterols and stanols have been linked with a reduction in LDL cholesterol. Foods that are high in these compounds include brussel sprouts, beets, oranges, cauliflower and whole grains. You can also find some products fortified with these such as margarine spreads. Bottom line is that you need to know your blood lipid numbers. Follow a diet high in fiber, omega-3’s and plant sterols and stanols. That pretty much covers fruits, vegetables and whole grains – things we all should be including in our diets anyway. Don’t smoke. Keep stress under control. Exercise! If you have a family history of heart disease, see your doctor or a cardiologist prior to age 40. Don’t wait until something happens. Our genes are very powerful predictors of our future health. Some people find that their weight is within normal limits, they don’t smoke, they work out regularly, and eat well but still have elevated cholesterol. It is possible. If all of those things don’t keep your numbers in a healthy range, do what you need to do. It you need to be on medication for your cholesterol and/or blood pressure, do it! The Mayo Clinic has a heart disease risk calculator tool www.mayoclinic.com/health/heart-disease-risk/HB00047. Try it and see where you fall. Be proactive and be heart smart! Holidays are over. As always, it’s kind of a relief when it’s all done. It was a special holiday season this year with some things that are going on with my family. We were able to really cherish our time together. I really feel blessed. As I was taking ornaments off the tree, one shattered on the floor (of course, it’s always one of our more expensive or sentimental ornaments). For some reason, it entered my mind that I was glad it wasn’t an egg because that would be a real mess to clean up. Don’t know why I thought that, I’m just telling you I did. Then I started thinking intensely about eggs. Odd, you may say (agreed). Well, as I was undecorating I was also thinking I needed to get back on track with my erratic dietary behavior that evolved about mid-December. I may have had one (maybe two) too many chocolate-caramel dipped pretzel rods. Time to decrease the sugar-laden, high fat goodies I’d been chomping down with fresh fruits, veggies, and lean protein choices. What better food to increase in your diet than eggs? It seems everyone likes eggs. Kids and adults alike love these compact little orbs. Eggs can be hard-boiled, scrambled, fried, poached, over-easy, made into an omelette, put on a sandwich, etc. Eggs are economical at about fifteen cents per egg. Did you know that eggs provide 7 grams of the highest-quality protein available while containing only 72 calories (and only 17 calories if you’re just eating the egg white)? That’s a nutrition powerhouse! Not only do they provide a good deal of protein to help you feel full longer, but they also contain many other vitamins and minerals. Eggs are a decent source of vitamins A and D (one of the few foods to naturally contain vitamin D). They are rich in choline, a nutrient that has been shown to help maintain your memory. They are also high in lutein and zeaxanthin, two antioxidants which have been found to help maintain healthy vision and prevent macular degeneration. 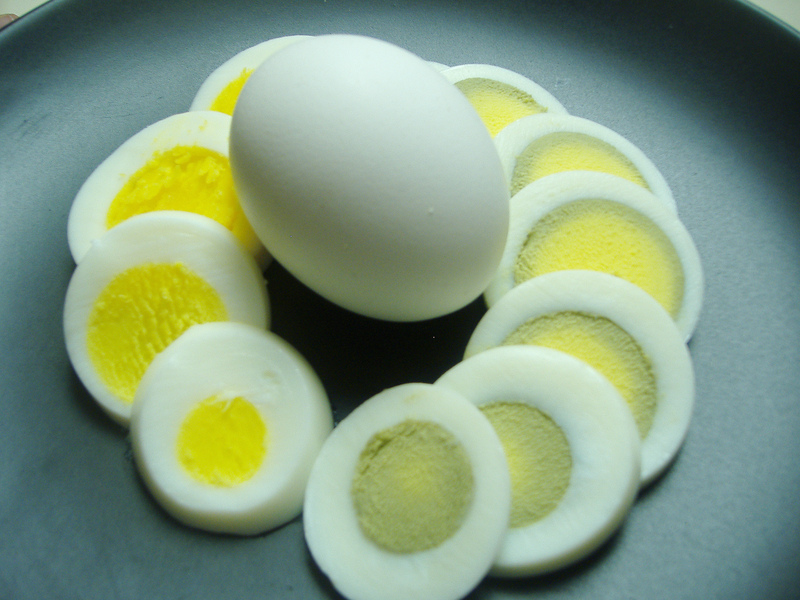 Many people think that eggs are a “bad” food because of the amount of cholesterol in them. While it can’t be disputed they contain approximately 200 mg of cholesterol, your body adjusts to this incoming amount by producing less. Saturated and trans-fat are the biggest culprits when it comes to elevating cholesterol. If this is a concern of your’s or your child’s, simply consume more whites than yolks. For example, instead of two whole eggs, have one yolk and two egg whites. Also, it’s probably best to limit your egg consumption to no more than four yolks per week. However, I would rather cut back on other foods which are high in saturated fat than cut back on eggs. Eggs are an ideal food to get children cooking. There are many fun things kids can do with eggs. They can make scrambled, fried eggs or an omelette and gain kitchen skills by cracking the eggs and whisking them. 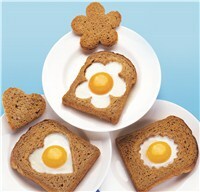 You can use a variety of cookie cutters and make different shapes in the center of toast and fry your egg (as in picture below – called eggs in a hole). 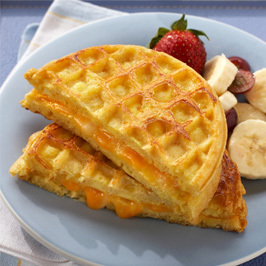 Kids can also pick out their favorite veggies, cheese or whatever else they think might taste good with eggs! Eggs be eaten for snacks, breakfast, lunch, and dinner. Hard boiled eggs are a convenient, nutritious snack to keep in the fridge to just grab and go. Egg sandwiches are not just for breakfast! Use eggs as your protein on a sandwich instead of lunch meat. Accessorize with spinach, arugula or the green of your choice to increase fiber, vitamins, and minerals. Add salsa or some diced tomatoes for extra flavor. Sprinkle some shredded cheese of your liking to finish things off. Honestly, this is making me hungry as I am writing this! 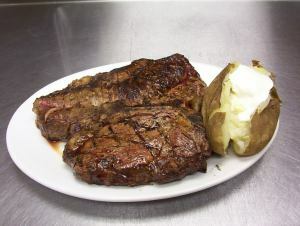 For dinner, you can even make a combination of eggs, pasta or rice, and vegetables (check out http://www.nyti.ms/W2JVre). One other breakfast suggestion, scrambled eggs in your oatmeal! Don’t make that frowney face, it’s really good (throw in a few scallions, too). I am making January egg month and will be posting egg facts and recipes on Twitter and Facebook. There are many “new” foods out there and I am all about learning about the latest superfoods. However, let’s not forgot the old tried and true egg and what an asset it is to our diets! How About Some Humility (and Humanity) with Your Holiday? Ok, admittedly this is a weird blog to be putting out there around the holiday season, but I just can’t help myself. Weird in the fact that it is not obviously nutrition related. But I actually think it does affect the way we feel about ourselves, thus how we treat our bodies. This is something I feel passionately about and is a missing piece for many (adults and children alike). Also, if you are looking for blogs on healthy holiday snacks, meals, or treats, how to keep the weight off during the holidays, low calorie recipes, high calories recipes, average number of calories in a Thanksgiving meal, high fiber foods, low fiber foods, energy drinks are bad, coconut water is good, gluten free anything, alcohol packs on the pounds, cleansing diets, green smoothie recipes, etc., etc., etc., you can google any of these and find a ton of hits. It might be more difficult to to find a blog on the topic above. Although maybe not. Just go with me here and if there is any piece of this that hits home or you can share with your child, please do so. Is there anybody who can say they are not a fan of “How the Grinch Stole Christmas?” It’s an absolute holiday classic and I could watch it a million times. I found this picture above which is one of my favorite scenes from this movie. The Grinch does his absolute best to take Christmas away from the Whoville people but he can’t do it. The Whovillians wake up Christmas morning only to find all their presents, food, decorations, etc. are gone. All the things we spend so much time preparing for the entire holiday season, gone. 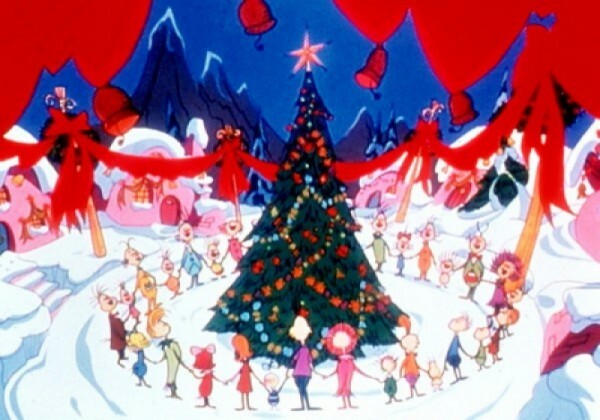 The Grinch, expecting the Who’s to be miserable and sad, all gather outside, hold hands, and sing around the tree. They are still smiling and appear happy. Clearly, it’s a fantasy. But wouldn’t it be great if it weren’t? The people I admire most in this world are those that seem happy and at peace with themselves, no matter what their life circumstances. I don’t feel envious of the person with a bigger house, designer clothes, or more Facebook “likes.” I aspire to be that person that tries to see the glass half full (I said I ASPIRE to be not that I always am). Or that person that doesn’t worry about what people think of them. They put on no pretenses. They DON’T need approval from those around them. They feel it from within and don’t need to advertise their new job promotion, how proud they are of a child, or how their “perfectionism” is their biggest weakness (as if answering a job interview question). I also appreciate those that are able to admit their weaknesses, faults, and shortcomings. To truly be able to search within yourself and admit certain things about yourself, is invaluable. How else do we improve upon ourselves? For example, do you know any one that supposedly has NEVER done anything they are ashamed of, wished they hadn’t, or maybe was not ethically the “right” thing to do (and neither have any of their relatives, by the way)? And they will NEVER admit it. It seems these people are perfect or wish to be perceived as such. Would it be so bad to say they are sorry or have some regrets? We are all human. We all do and say things we shouldn’t. We have all done things where we lay in bed at night and say “I shouldn’t have done that.” Would it be so bad to admit it? At least to maybe to a good friend or two? Is it best to present an image to the world that may not be authentic? I try to figure out why people are like this. I can only guess it makes them feel good or superior in some way. Maybe pride gets in their way. What is it we want to teach our children? I happen to live in an area that is very affluent with many kids that have not had to deal with adversity. As parents, we make it easy for them to not take responsibility for themselves. We just can’t do enough to try to make them happy. Do we benefit them by ALWAYS being their advocate? Can we help raise better children by sometimes letting them fail and pick up the pieces? Do we help them by praising them when they don’t deserve it? Is it in their best interest to post a Facebook comment (I assume people do this so their kids, others, and their children’s friends will see) informing the world of your inability to contain how special they are and how proud you are of them? Do people know we all feel that way about our kids? Let’s take this holiday season to really think about how we would like to raise our children and what the best ways are to help them become responsible, caring adults. I’m going to make some suggestions that will only benefit them in the long run and help prepare them for the real world. Praise them WHEN they DESERVE it. Do not use praise loosely. The real world won’t. Let them resolve their own problems. Do not “fix” things for them. Mom and Dad are the only ones who do this. Their boss, college professor, or police officer, will not. Do not accept disrespectful behavior. This must start at a young age. They are not your “friend” or “equal.” Do not treat them as such. Model and teach kindness and compassion. Encourage them to be who they are. Not who they think people want them to be. Show them that material things don’t matter. This could be the toughest lesson of all. Especially if an expensive car, designer clothes, fancy dinners out, handing them money at the drop of a hat are how we are living our lives. Children become defined by these things instead of who is at the inner core of their being. Being their advocate is important, however, doing this when they have done something wrong sends the wrong message. Again, in the real world no one is going to do this for them. They need to learn there are consequences to their actions. Just keep in mind they WILL lie to us. They WILL skew a story that makes them look good. Their friends are always the bad guys. I personally do not want to have my children make me look foolish. It’s embarrassing when everyone knows something about your child and you think they are God’s gift to this world. I have experienced this personally so this one is near and dear to my heart. Model and teach them how to be a good friend. I’m tired of hearing “boys will be boys” or “that’s the way girls are today.” That’s “normal.” There are behaviors I just cannot and will not tolerate from my own children. Do not accept meanness, cruelty, or not being a good friend as “normal.” I am not saying I can control these things but I will not accept them if I do find out. Some things are just wrong and our children need to know this. Let’s stop making excuses as to why bad behavior is ok.
Children will make mistakes. Let’s help them learn from them. Everything in moderation. You can eat any foods you want in appropriate portion sizes. If everyone followed this one simple rule, I think the obesity rate would plummet. Modeling this behavior for your children is key. DO NOT LET YOURSELF GET TOO HUNGRY!!!! I cannot emphasize this enough. When we are starving, we shovel in food so fast we don’t realize we are full yet. Pick foods you like. Just because you see a recipe for Tofu Baked Oats don’t think you “should” eat it because it is good for you. Number one when making your food choices – YOU HAVE TO LIKE IT!!!!!! This does not mean you don’t try new things. I am just suggesting that when you come to the realization you don’t like something, such as kale smoothies, let yourself off the hook. You’re not going to maintain any eating plan where you are forcing yourself to eat things you don’t like. Not all of us like every single food that is “healthy” for us. When you crave a food, give into your craving. Eating an apple when what you really crave is Oreo cookies can eventually lead to overeating. Your best bet is to have a cookie or two. Usually this can satisfy the craving. Of course, it may take some willpower to limit the quantity you eat but remember the “everything in moderation” rule. Once you eat your cookies, the craving should subside. Some days you may eat more than others. It’s all a balance. If you overeat on one day, try to get back on track the next day. We’ve all heard this before, don’t give up because you’ve had a bad day. Make sure to weigh yourself once a week. Most of my patients report gaining weight during periods when they were not weighing themselves. Seeing that number on the scale go up can help you monitor your eating habits and get back on track. My “anytime” foods are primarily fruits and vegetables. These are generally low-calorie foods that are packed with nutrients and fiber. Consume these foods the most. “Sometimes” foods encompass a huge list of things. Just about everything goes in to this list for me. This includes meats, dairy, snack foods, starchy vegetables, etc. Sometimes calories may seem a little high, however, eaten in moderation it’s ok. Scattered among the “anytime” foods should be your “sometimes” foods. For example, in the morning you may have an apple (anytime), oatmeal (sometime), and orange juice (sometime). Lunch may be half a hoagie (sometime) and carrots (anytime). Dinner may be chicken breast (sometime), baked potato (sometime), green beans (anytime). This is just an example but the key with the “sometimes” foods is portion control. “Indulgent” goods are those that make your eyes bug out when reading the nutrition label. For instance, you want to get a slice of cheesecake from the Cheesecake Factory. One slice of Adam’s Peanut Butter Ripple Cheesecake provides an astronomical 930 calories and 59 grams of fat!!! Ok, so get what I mean by indulgent? However, very occasionally these are ok. It might even be a good idea to eat only half of food like this. Given the richness, chances are it will satisfy you. I like to stress the fact that we should be able to eat all the foods that we enjoy. Portion control along with good food choices is the best path to take. Oh, and remember to think about how the food you are eating tastes. Did you ever notice that the first bite of food tastes the best? As we satisfy our hunger, the pleasure we get from the taste of foods diminishes. Pay attention to this.